Vega. You may forget to re-apply sunscreen if you’re reading Louisa Luna’s novel titled, Two Girls Down, at the beach. Two girls have gone missing, and a family member has called in Alice Vega to help find them. Vega isn’t warmly received by the local police, so she teams up with a local private eye, Max Caplan. Luna develops these characters and the whole cast with great skill, while maintaining a plot momentum that fits the thriller genre. Caplan’s relationship with his daughter, Nell, was another high point in the novel. I finished reading this novel quickly to great satisfaction and wondered if Luna will continue to write stories featuring Vega, Cap and Nell. I’m ready to read them if she does. 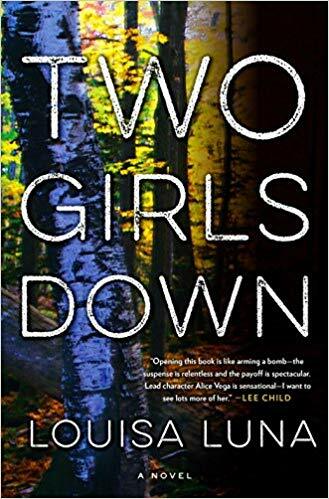 Rating: Four-star (I like it) Click here to purchase Two Girls Down from amazon.com.